A small crowd was gathered outside Caglayan court. 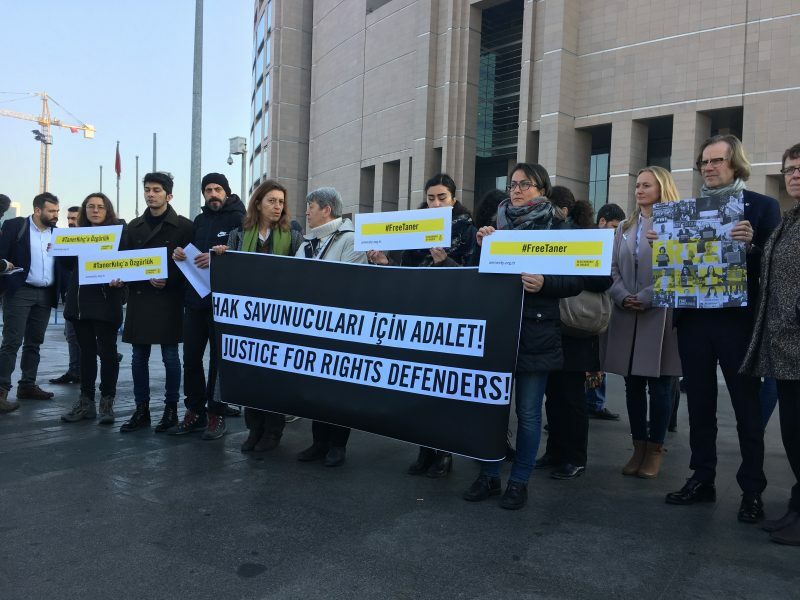 They held “Free Taner” signs while representatives from the Amnesty International's Turkey office were read their demands out loud. Just a day later, the first court accepted the second court's decision to continue his detention. Kilic is now likely to remain in jail until the next hearing, which is scheduled for June 21, 2018. This is the latest example of the crisis in Turkey's justice system that is ruining lives and hollowing out the right to a fair trial. To have been granted release only to have the door to freedom so callously slammed in his face is devastating for Taner, his family and all who stand for justice in Turkey.